Lane Splitting. It’s the practice of riding a motorcycle between rows of stopped or slow-moving traffic. You probably know that it’s been legal in California for many years, but what you may not know is that it’s explicitly or implicitly illegal in every other U.S. state. How about Oregon? Don’t even try it! Oregon state law is very clear: Unless you’re passing another motorcycle or moped, you may not pass a vehicle that’s in the same lane while riding a motorcycle (or moped), according to ORS section 814.240. That’s a $260 fine (plus fees), and it doubles in construction or other special zones. 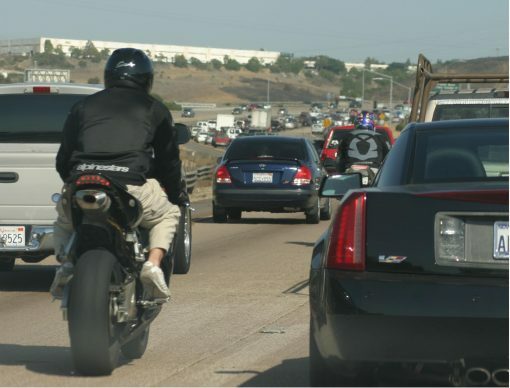 Someday, lane splitting may become legal in Oregon. In January 2017, the aptly-named State Senator Jeff Kruse (R) introduced Senate Bill 385, which would have allowed lane splitting in Oregon, if the rider was on a roadway marked for at least 50 mph in traffic moving slower than 10 mph. The rider may travel no more than 20 mph – it’s not the same kind of freewheeling California lane splitting, but it’s a start. Unfortunately, the bill failed to make it from the committee to the floor of the Senate for a vote. Oregon motorcyclists are hopeful the bill will be reintroduced in 2019. Oregon’s state DOT ginned up this ad for social-media sites. Public opinion is divided in Oregon. Many motorists assume lane splitting is an unsafe practice, despite scientific evidence to the contrary. Judging by reader comments on social media and news websites, they’re alarmed by the noise and proximity of passing motorcyclists, especially those that they perceive as going unsafe speeds. The Oregon Department of Transportation takes an active stance against the practice, saying it surprises drivers and that motorcycles need a full lane to ride safely. 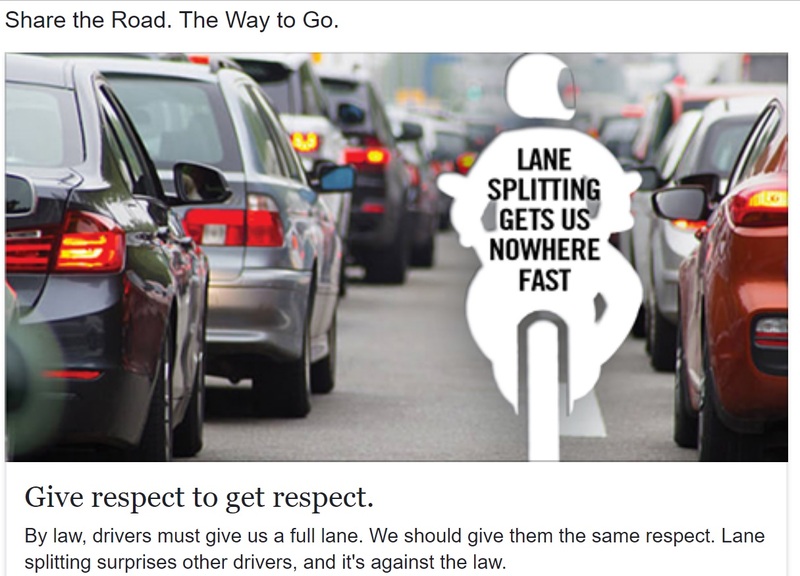 But Oregon motorcyclists are actively supporting lane splitting and hope to see it become legal. So what can you do? Exercise your rights as a motorcyclist! Join the AMA – which doesn’t not support lane splitting – as well as other rider’s groups in Oregon that are working to convince the public and politicians that lane splitting is safe and saves time for everyone. Hopefully, we’ll be able to say lane splitting in Oregon is legal sometime soon.